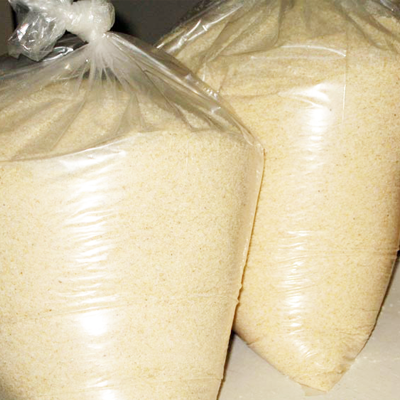 Gari constitutes a daily meal to more than 150 million people world wide. It is a popular West African food. It could be compared to what potato flour is to the Westerners. It can be eaten as a snack in cold water on a very hot day, or cooked in hot water to make a dough-like meal called eba or gari to eat any of the African vegetable soups. It is a popular Ghanaian, Sierra Leonian and Nigerian food item.